A new post appears on the blog every other Wednesday. Next post: May 20. 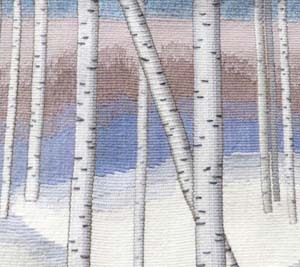 “Birches in the Snow” by Elizabeth Shoeman of Longmont is on display through June 6 at Union Colony Civic Center in Greeley. 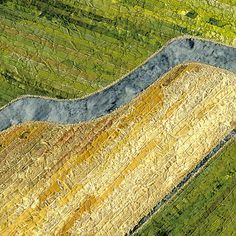 This handwoven tapestry is one of 50 pieces of fiber art in Fiber Celebration 2015. 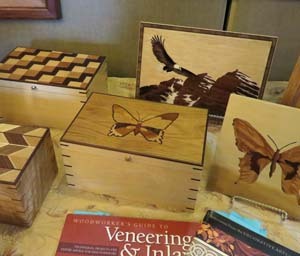 This year’s art festival season along the Front Range burst open last weekend. Four special events unfolded in addition to the usual First Friday art walks in Boulder, Colorado Springs, Denver, and Fort Collins. Before May is over, at least ten more will entice art lovers to venues from Colorado Springs to Fort Collins and west to Estes Park. 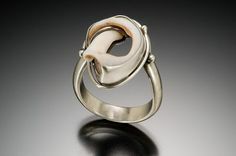 There are several ways to make sure that you don’t miss out on the pleasure of seeing artisans’ work in person. First, check out the 2015 Calendar of Art Shows and Festivals here on the blog. If you looked at it a couple of months ago when it first came out, you may want to scan through it again. Twelve more events along the Front Range from May through August have been added since then. All events have links to websites with more information. Right now the calendar runs through October. Event organizers are still arranging venues and updating websites for the holiday season in November and December. As soon as 2015 replaces 2014 on most of the events’ websites, the calendar will run through the end of the year so you can plan ahead. If you’re more the spontaneous type who just wants to see what’s coming up each week, check the right side bar under “What’s Happening.” If you read the blog on a mobile device, the right side bar may not appear. In that case, you will need to check the blog’s calendar page or follow the Facebook page of Handmade on the Front Range. 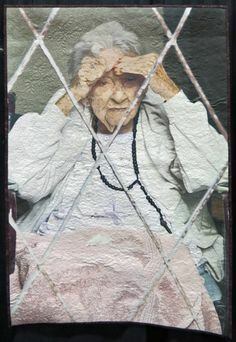 There you will find news of and links to events you may be interested in, as well as updates on the work of artisans featured on the blog in the past. You don’t have to have a Facebook account to take advantage of the information there – but if you do have a Facebook account, please don’t forget to click “like” while you’re there. 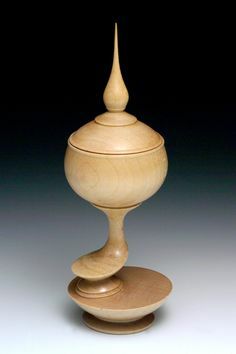 Every artisan you meet as you browse through the booths at an art festival has made a substantial investment of time and money to be there. Many artisans work full time at other jobs but give one or two days of their weekend to the festival. Their investment of time isn’t just the hours that the festival runs either. They set up their booth, usually with their own tent and tables they have purchased, and they take it down. For many, it takes a truck to move everything, too. Potter Don Cox was one of many artisans selling their work at last year’s Open Air Fest in Boulder. 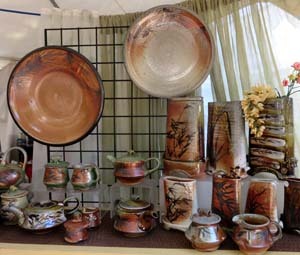 Imagine moving pottery like Don Cox did for last July’s two-day Open Air Arts Fest in Boulder. Pictured here is a very small part of all the work he had on display. It would be a lot like moving half a kitchen twice within a weekend. Incidentally, if you’re looking for Open Air Arts Fest on the calendar in July, you’re looking at the right month but expecting the wrong name. The festival has been renamed the Pearl Street Arts Fest for 2015. Months before a festival occurs, participating artisans have already made a financial commitment to it. 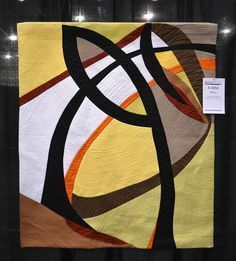 Event organizers make a “call for entry.” In most cases, artisans must be “juried in.” That means organizers consider the quality and type of work, usually by looking at pictures, and select the participants. It costs money to apply — $20 is a figure I’ve seen frequently. 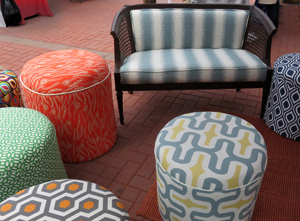 Contemporary and upcycled furniture from Jamie Lauren Upholstery Upcycle awaited customers at Boulder’s Firefly Handmade Market in summer of 2014. Reserving booth space costs money, too. How much depends on the status of the festival and the size of the booth. The least expensive booth price I’ve seen is $75. The highest I’ve heard of is $600 for booth space in prestigious, high-traffic locations like Breckenridge, which draw thousands of tourists. As artisans gain experience in selling at festivals, they learn which ones bring the best returns. For example, Jamie Solveson, who was featured on the blog in February, discovered that people who attend Denver’s Sweet William Market are especially drawn to her colorful furniture. She will be there the end of this month, as well as at Valverde Bazaar on May 16 — no matter the challenge of moving furniture from truck to booth and possibly back again. I’ll be browsing at festivals often this season to find the best work to share with you. 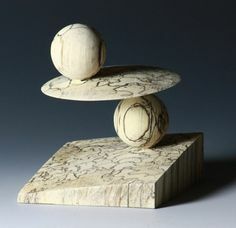 “Best work” means what excites me, what makes me long to learn about an artisan’s craft. To accommodate the season, Handmade on the Front Range will move to a posting schedule of every other Wednesday. I hope you will study the blog’s calendar and join me in the fun. 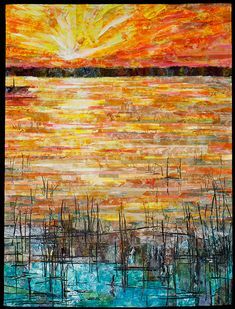 This entry was posted in Events & Classes and tagged art show and festival calendar on May 6, 2015 by Sally.